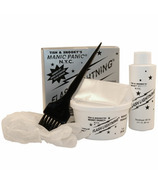 Tish and Snooky's Manic Panic NYC and its crazy array of vibrant hair dyes were born on 7/7/77. Tish and Snooky, who ignited the late 70s punk scene, never dreamt that their brand would become mainstream and Manic Panic would become an internationally renowned hair color and cosmetics company. 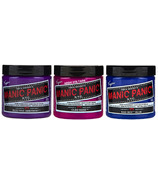 Whether you're looking for blue hair, green hair or purple hair, Manic Panic has the semi-permanent dye for you.